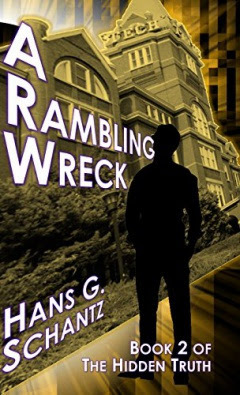 I just finished a great book, A Rambling Wreck by Hans G. Schantz. It's the sequel to The Hidden Truth. You can tell from my review last year that I really enjoyed the first book, but I think this sequel is even better. He's a Ramblin' Wreck from Georgia Tech! The story picks up a year after the first book. Peter is now a freshman at Georgia Tech, where he and Amit land straight in the Social Justice Warriors incubator. They have to camouflage themselves while continuing their dangerous mission to uncover and defeat the machinations of the Civic Circle. In their digging, they uncover even deeper secrets and come up against unexpected new players, including Chinese triads (cool) and a centuries old secret order (super cool). Throw in a Snape-like professor and a fair damsel in distress and sudden revelations about allies and it all adds up to a high-stakes suspense thriller. I am not quite sure how the author does it, but once again he's made physics (alternate) history intriguing. And I really like how he handles Peter and Amit's college experience - they feel like college kids, and at the same time we get a clear picture of the SJW college infestation that seems very much drawn from the real world. This is really such an original series of books that it's hard to describe it properly. Like Da Vinci Code meets Harry Potter meets Cryptonomicon by way of Michael Crichton. The author really knows his science and tech AND can spin a fantastic tale. A Rambling Wreck is free to read for Kindle Unlimited subscribers. If you want to see if subscribing is right for you, can get a Kindle Unlimited 30-Day Free Trial.